On one sailing, my cabin was right across from the entrance to the crew’s quarters. And although these may have been the most polite, professional crew members I have ever met (I heard shockingly little discussion between them from my cabin, and zero humming, singing, or whistling, as is sometimes the case), they work around the clock, so that door opened and closed well after I climbed into bed. Once, I sailed in the most forward cabin on a ship — right over the bow — and I was awakened at the crack of dawn every day by the construction-like noise of the anchor as arrived in port. 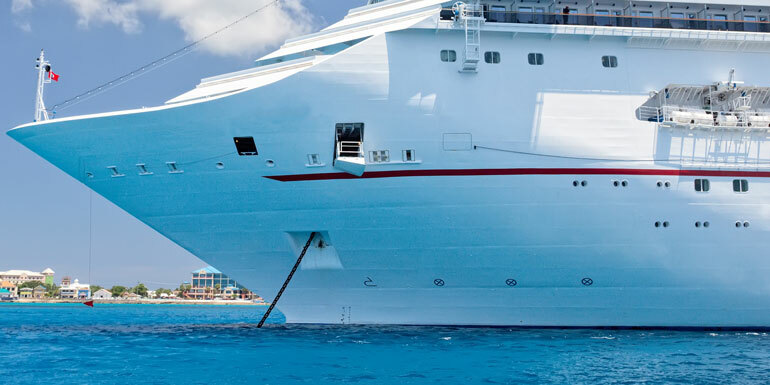 That cabin — and others near equipment the crew use — may be designated by an unmarked white area on the deck plan, so when you see a space like that, call the cruise line for more information. Light sleepers everywhere request rooms away from elevators in hotels. 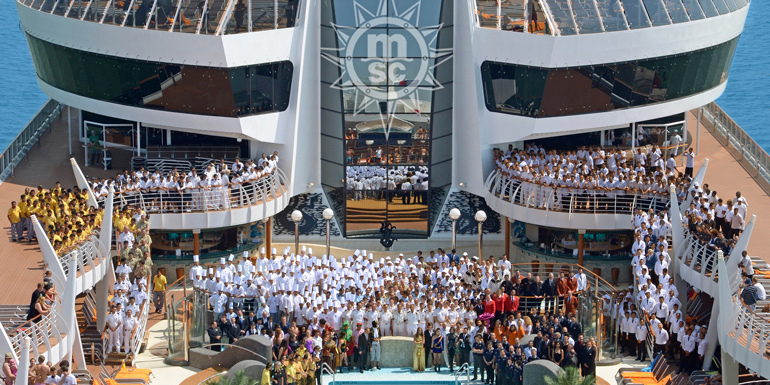 The same should be true on cruise ships, only more so since passengers sometimes gather there — say, on the way to meals, shows, or for disembarkation. This is another one that is a common request in hotels for noise-a-phobes like myself, and should be on ships. 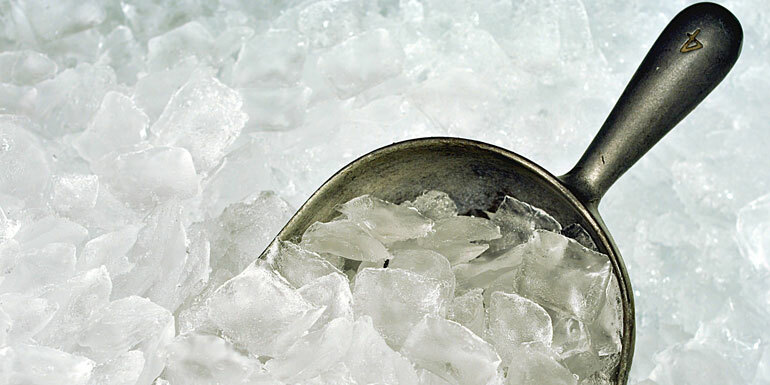 Important to note: Some ships hide the ice machines in internal crew-only spaces; others keep them available for self-service. 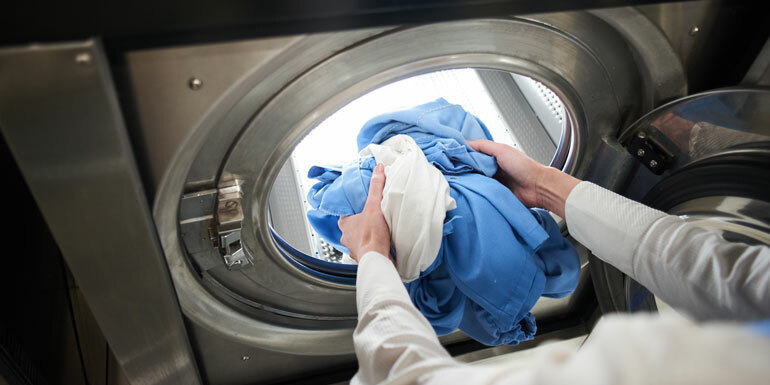 Not all ships have public laundry facilities, but on those that do, you want to avoid hearing the washers and dryers from inside your cabin. 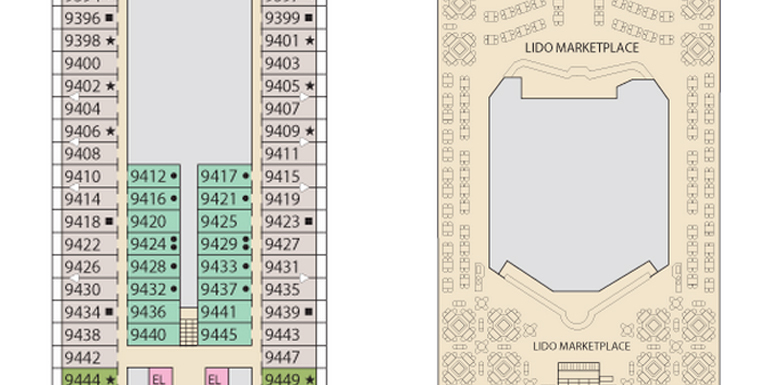 These cabins look secluded at first glance, but they're directly below the Lido Marketplace. Don’t want to hear the deck chairs as they’re moved around or dragged across the floor, or the sound of early-morning joggers? Then you’ll certainly want to avoid this location. 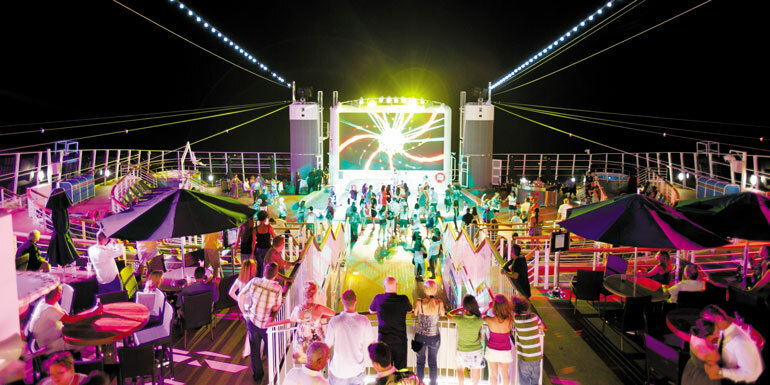 Sailing on a ship that’s known for nightlife? When in doubt, don’t risk it. Have you ever gotten stuck in a loud cabin? Tell us about it! We were under the shops on our last cruise and every night around midnight for around an hour, they moved things around - very hard to sleep! Our room was right under the pool, on the Enchantment of the Seas and we slept like rocks. We just sailed on the newest ship, the "Norwegian Getaway" Our cabin was 14220, just below the buffet floor and across the hall from the supply closet. We never head a thing and slept like babies. Must be in the building of the ship. Soundproofing must have been A+ because the only time we heard extra noise was when we had the balcony door open. I cruised on Royal Caribbean and they confiscated my fan. My room was over the gangway so the noises from opening the doors and loading/unloading supplies was bad. Sounds like you know exactly what we’re talking about, Doseibel! Which ship were you on? Hi Buck! The entrance to the crew’s quarters varies in location from ship to ship, so it’s something to keep in mind when booking a cabin. On our last cruise we were "upgraded" to a floor right below the buffet. There was a tile logo on the floor in the buffet and the serving carts started rolling intermittently over that logo about 5:30 a.m. Waking us up! Also there was a dish washing station across from our room and while we couldn't smell anything or hear the noise from INSIDE our room, the smell from garbage was pretty rank when coming down the hall to our room and it was very noisy each time we opened our door. I was on Holland America ship ms Oosterdam, and discovered the entrance to crew quarters. It was nowhere close to any passenger cabins. There is no way in the world a single passenger could have been bothered no matter how loud the music may have been. Key is a cabin mid ship and not real high up, pending if your route can have heavy seas. Mid ship is best and fore and aft bad, like noted, under the theatre, kitchen or if a bad storm, aft when props come part out of the water and spin. Since I used to lecture on cruise ships, many funny tales from the past and present, almost always apply. People do not change. Just the ships, way too big. Have a walkie talkie to keep in touch with friends too, since with 3500 or more on 15 plus decks, you'll never find them unless a "timed meeting place" like lunch, buffet, starboard aft. And a note pad if you meet someone you want to see later. Name and cabin # makes that possible or you'll never seen them again. Bon Voyage. Fans are a great idea, but if you don't have room in your suitcase, you can always bring a couple pairs of those in-ear foam earplugs. Not super comfortable, but for a light sleeper like me, it's better than dealing with noise. We brought two small fans in our suitcase but yet strong ones. We slept like babies and didn't hear a thing. Sorry if stupid question- what are fans for- noise reduction? Are state rooms air conditioned? Yes, staterooms are air-conditioned on any modern cruise ship. Not sure what purpose the fans that others suggest would serve. We had a room directly under a pool and the water sloshed all night because of rough seas. The porthole room was awesome as we went through the Panama Canal. We have had rooms across from the laundry room and it was very quiet. I don't mind a room in that area. Makes it easy to use the laundry. You can watch a movie in your room and get your laundry done. I'm about to book my cruise and mid-ship cabins are all full. I'm choosing aft because its closest to dining. There's two cabins left. One is located in the far back of the ship with the window looking out the back of the ship. The other is the second to last cabin on the starboard side. Has anyone ever stayed in one of the back facing cabins? And, if so, what are their pros and cons? I have a travel white noise machine. It's more convenient than a fan. Fans are to help drown out any noises which you find disturbing. Consider it a little "white noise." Plus, it helps to move the air around if that ever becomes an issue. 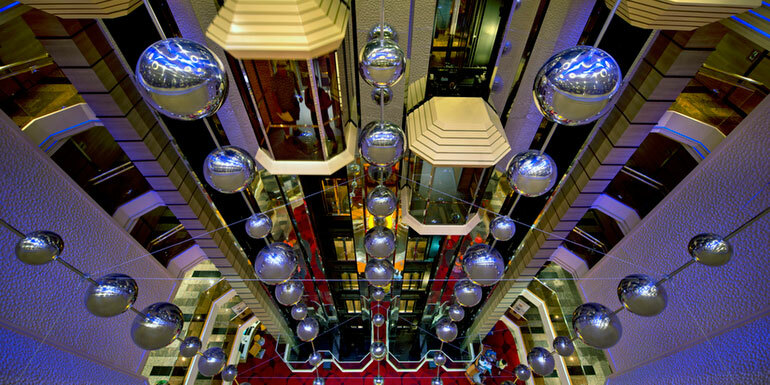 We cruise HAL often and always take a Neptune Suite on very back of ship usually on deck 6. Love the wrap around deck and super quiet! Food is awesome, even buffet is good. Free upgraded room service breakfast & dining room menu is amazing. Free laundry is such a great perk especially traveling with the family. My 12 year old son LOVES club HAL. Shows are not super top notch but enjoyable. We made same mistake trying NCL Dawn by booking Jr Suite on very back of ship and guess what! right below the nightclub! Nobody told us. At least around 1am it wasn't too bad and thumping music was turned down. Food was awful, especially the buffet. No free laundry and no room service even for suite guests. Shows were great. It was back to HAL for us!